Falls Township, Bucks County, Penna. – Elcon Recycling Services, LLC proposes to import as much as 210,000 tons of chemical hazardous waste annually to a site in Bucks County that is less than ½ mile from the Delaware River. 17-25 tanker trucks will be transporting the waste along area highways and then on local streets to the facility and then additional trucks will haul the concentrated sludge away. The Philadelphia Water Department has already gone on record opposing the Elcon proposal. Many NJ river towns, such as Florence Township and Edgewater park, not to mention NJ American’s water intake at Delran and Philadelphia, all depend on the Delaware River for drinking water supplies and are just a few miles downriver. Over 590 different contaminants from mining and drilling, pharmaceuticals, paints and many other every-day sources will arrive to this old industrial site (formerly part of US Steel) via tanker trucks and rail cars. Treatment includes thermal oxidation that will boil the contaminates emitting as much as 25 tons of new emissions into a region already struggling with air quality issues. Philadelphia has the third worst air quality in Pennsylvania only behind Pittsburg. Bucks County is third worst. The site, located on Dean Seivers Place, Falls Township, has several wetlands that are hydrologically connected to Biles Creek, a tributary of the Delaware. Railcars will pass within the 50-foot regulated buffer. It is, while outside the 100-year floodplain, is clearly within the 500-year floodplain. That sounds like its safe, but it is not. The Delaware River Basin Commission, the City of Philadelphia and other entities focusing on making their communities more resilient due to climate change and sea-level rise are now recommending that critical facilities and infrastructure should not be built within the 500-year floodplain. The DRBC and City state that “critical facilities, such as schools, police departments and fire departments” should not be constructed within the 500-year floodplain. If flooding experts state that a school should not be built in the 500-year floodplain, doesn’t it make sense not to place 210,000 tons of chemical hazardous waste in a similar harms-way situation? The DRBC Recommendations were reinforced recently via a published Princeton University study which assessed 1) the impacts of Sea-level rise and 2) how Hurricane Sandy-like storms are predicted to occur with greater intensity and frequency due to global warming. Please join the thousands of others that have already spoken up and said “NO to ELCON.” Nearby Morrisville, Newtown, Tullytown Upper Makefield, Burlington City and Township, and Florence have all passed municipal resolutions opposing this dangerous facility. On Jan 9, 2018 PADEP returned Elcon’s Phase II permit back to them for being both administratively incomplete and not accurate (see PADEP letter attached). DEP advised Elcon they must respond within 90 days or DEP could deny the Phase II application. The 90-days ends on April 9th. In response to PADEP’s decision, Elcon appealed DEP’s 1.9.2018 decision through the PA Environmental Hearing Board (EHB), but no date has been set for the EHB. Advised Falls Twp Board of Supervisors that, according to a Bloomburg report, Moodys Investment is starting to consider that a municipality’s failure to properly prepare for climate change could affect their access to low cost financing. Our point to the BoS is that knowing the potential for sea-level rise, storm surges and flooding, placing a commercial chemical hazardous waste facility so close to the river might put Falls Township at a higher liability risk. See “Moody” attached. With the new Governor and administration in NJ and likely a more pro-active DEP Commissioner, we hope to enlist great participation by NJDEP. The 25 tons of new air-borne pollutants from Elcon will largely end up in NJ, not to mention placing all the fresh water intakes at risk. We need you to help spread the word. Share this information to your family, co-workers and friends. We have momentum and logic on our side. 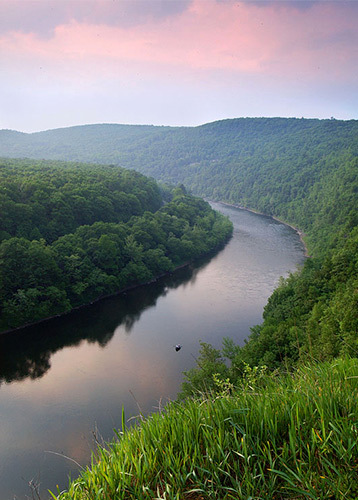 For more information, contact Fred at fred@delawareriverkeeper.org or call 215-369-1188 x 113.